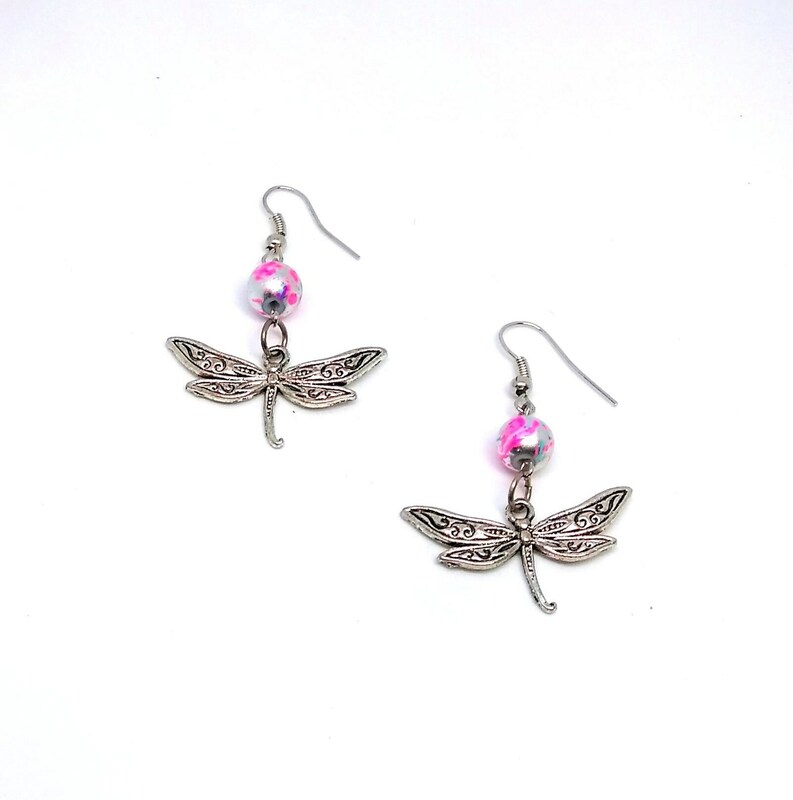 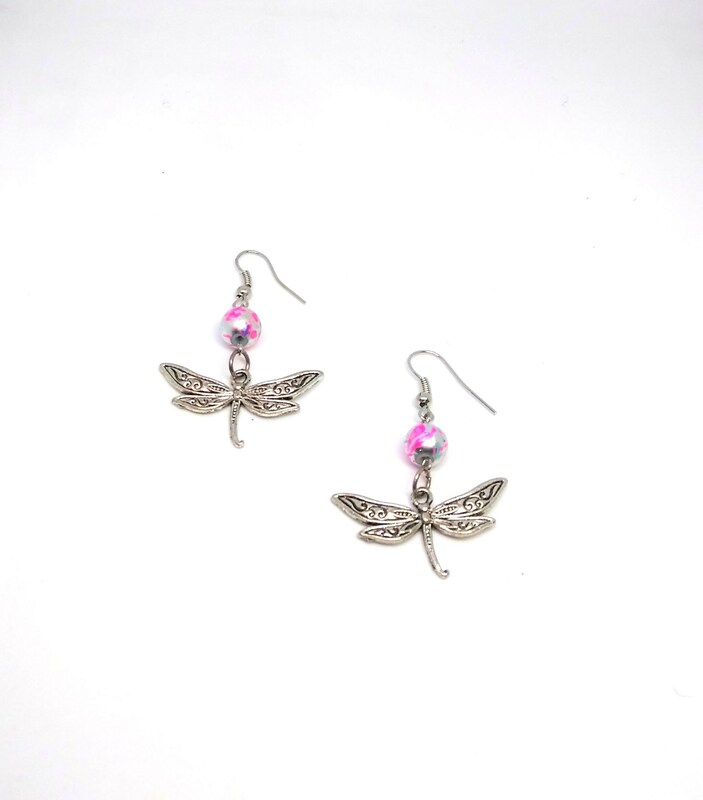 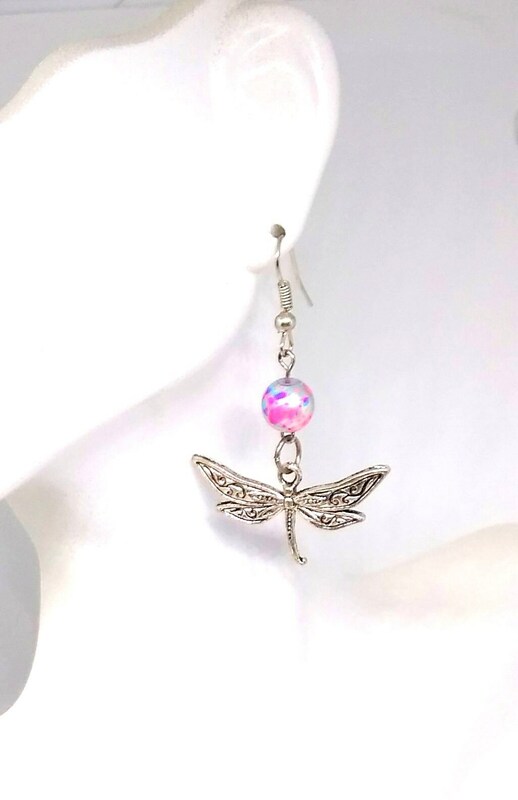 Silver dangle dragonfly earrings give a feeling of positive vibes. 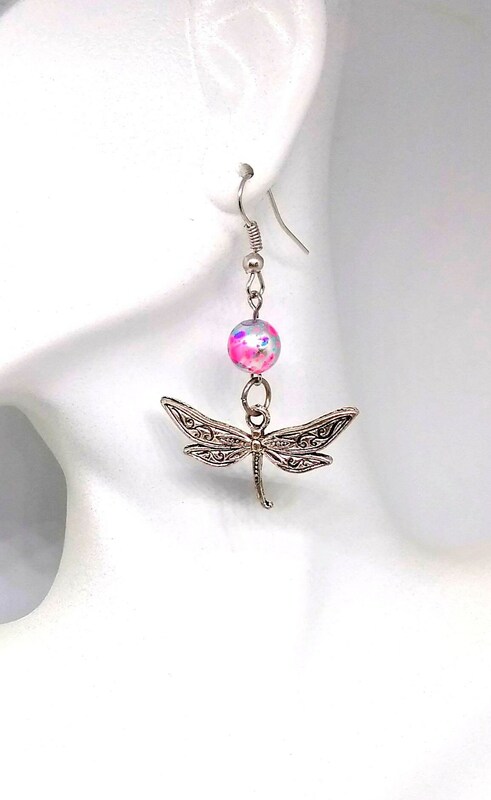 Beautiful multi-colored glass pearls and silver findings along with lead and cadmium free silver tone dragonflys accent these dangle earrings. 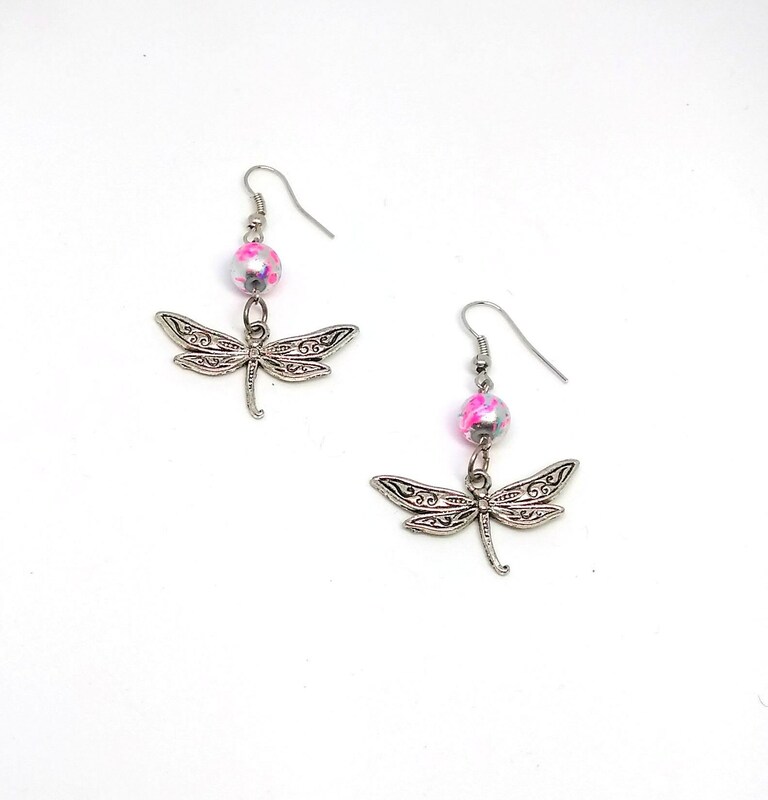 These earrings including the findings are approximately 2.0 x 1.25 inches.